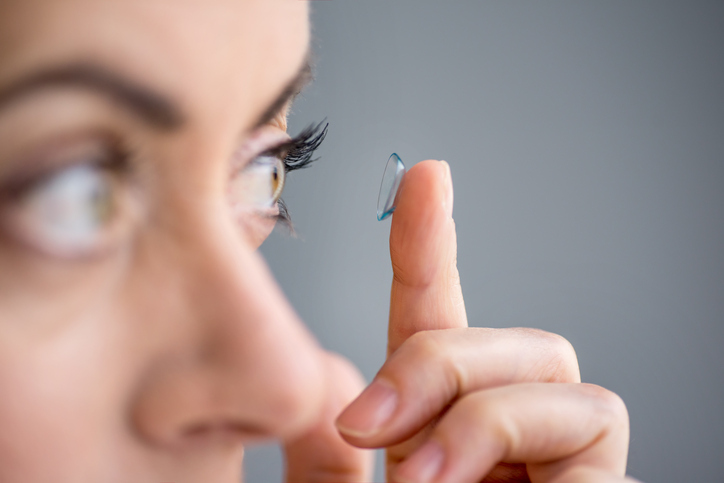 The basic method for caring for contact lenses is to clean, rinse, and disinfect. This is a pretty straightforward process. First, make sure your hands are scrupulously clean, with no residue from moisturizer or moisturizing soaps. Dry them with a lint-free towel. Place a contact lens in the palm of your hand, apply a generous amount of multipurpose contact lens solution, and rub the lens gently against your palm with your index finger, with a back and forth motion. Rinse the lens again and place it into your clean lens case, filling the case with fresh solution. Repeat the process with the other lens. Sometimes, you’ll need to go further than just cleaning, rinsing, and disinfecting. 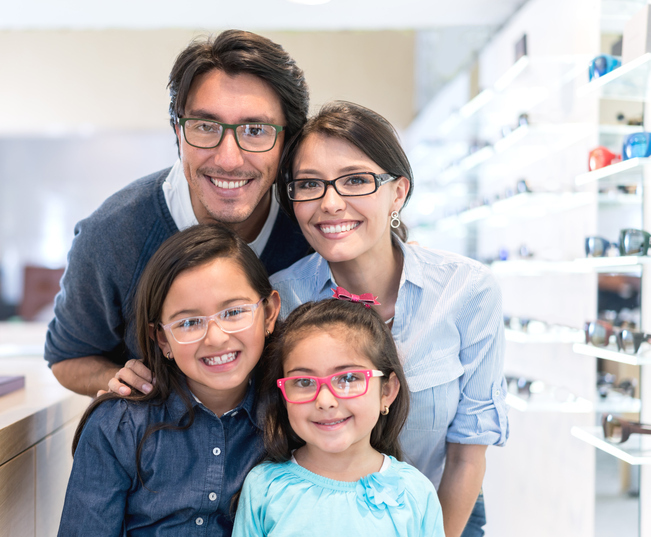 It’s important to understand the products used in caring for lenses so that you can make the right choices for your eyes. Saline solution: Used for rinsing and storing contact lenses when you’re using a heat or UV disinfection system, it may also be needed with enzymatic cleaning tablets or disinfecting devices. Saline products should never be used for cleaning or disinfection. Daily Cleaner: This can be placed into the palm of your hand to clean your lenses, rubbing each side of the lens with your finger for at least 20 seconds. Other products are better for rinsing and disinfecting. Multipurpose Solution: This solution can be used for cleaning, rinsing, and disinfecting. It can also be used in the lenses case. Hydrogen Peroxide Solution: Used for cleaning, disinfecting, rinsing, and storing contact lenses, it’s good for users who are sensitive to the preservatives in multipurpose solution. It’s important, though, to disinfect and neutralize before putting lenses back into the eyes. Enzymatic Cleaner: Used to remove protein from your contact lenses, this typically involves tablets used with a saline or disinfecting solution. Always follow the instructions on the enzymatic cleaner package. Daily Protein Remover: Is a liquid, used during disinfection with a multipurpose solution, to remove protein from your lenses. There are a few points to remember when cleaning contacts. First, be careful never to touch the solution bottle tip to any surface, including any part of your body. Don’t get tap water on your contact lenses or accessories, because it can carry a microorganism and lead to eye infections. Clean your contact lens accessories as directed, and throw out your contact lens case every three months to reduce the risk of infection. Don’t substitute water or any other liquid for lens solution, and make sure to clean and disinfect your lenses once a day. Follow your eye doctor’s instructions for caring for your contact lenses, and don’t switch products without consulting your doctor.